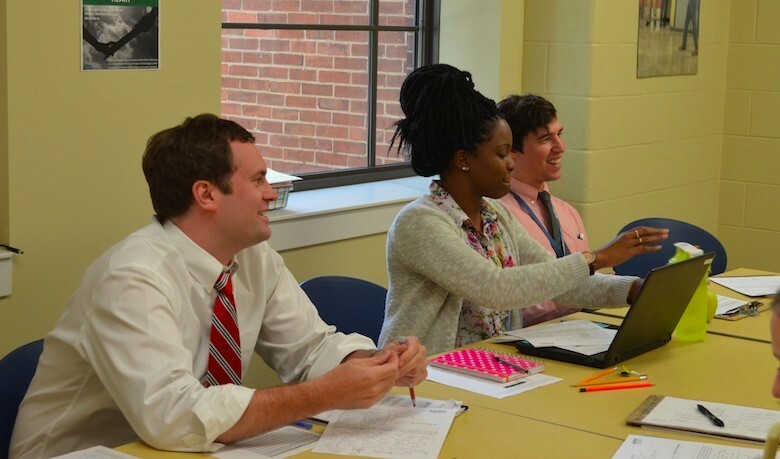 KIPP Nashville teachers experience a full day of instruction, interaction, and professional development in a supportive, growth-minded environment. 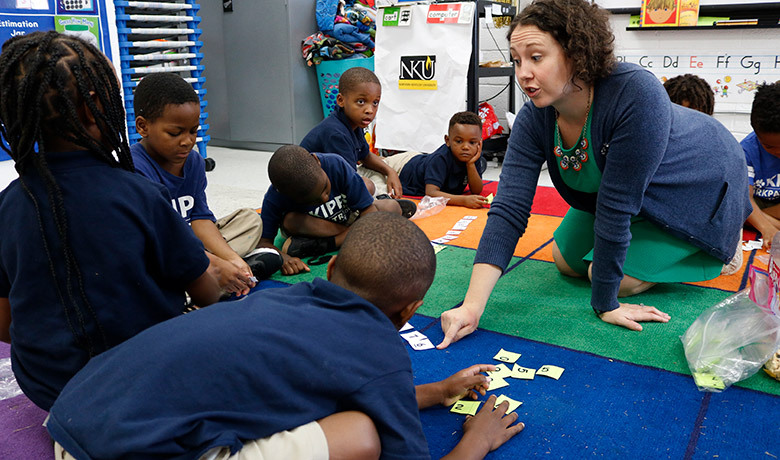 At KIPP Nashville we operate elementary schools Kindergarten through 4th grade. 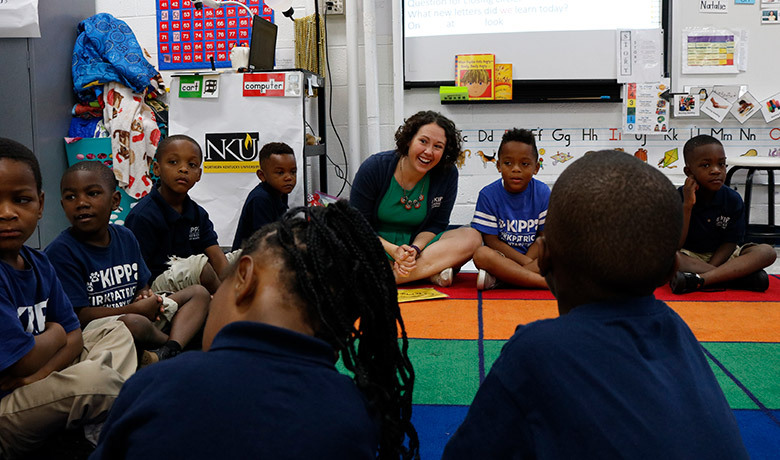 To ensure our youngest learners begin their path to college in kindergarten, our schools have a co-teaching model in kindergarten and first grade and inclusion co-taught classrooms K-4th grade, in addition to a well-rounded curriculum that includes creative arts and social sciences. 7:45 Good Morning! : Our families are the foundation of why we do this work. I love taking time in the morning to build these relationships. 8:05 Morning Meeting: Each morning, we set the tone for the day by coming together to share, develop community and introduce an instructional message. 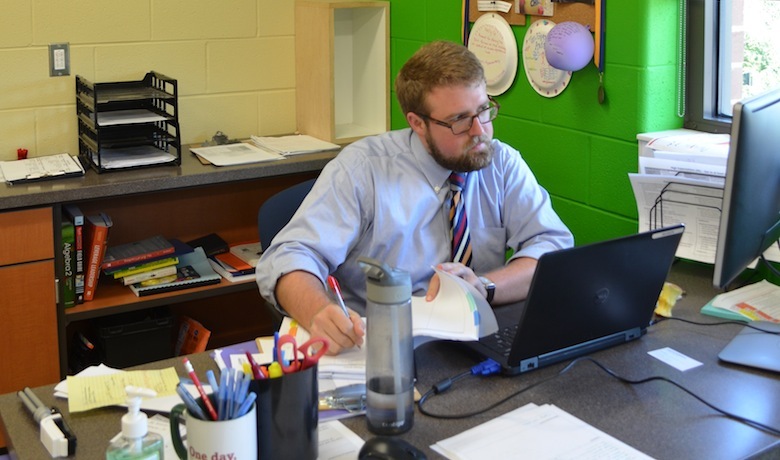 10:05 a.m. Planning time: While students are at related arts classes, our teachers use this time to regroup, get ready for the afternoon and plan ahead for the rest of the week. 11:05 a.m. 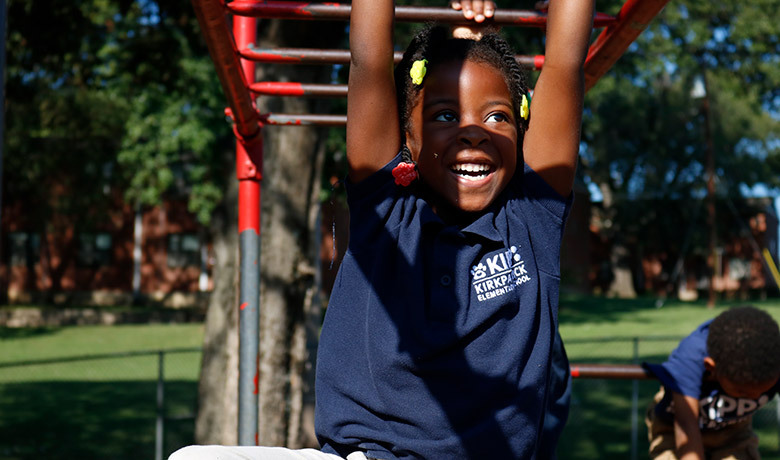 Recess: Our KIPPsters love getting a break outside to burn off some energy and build relationships with their friends! 11:45 a.m. 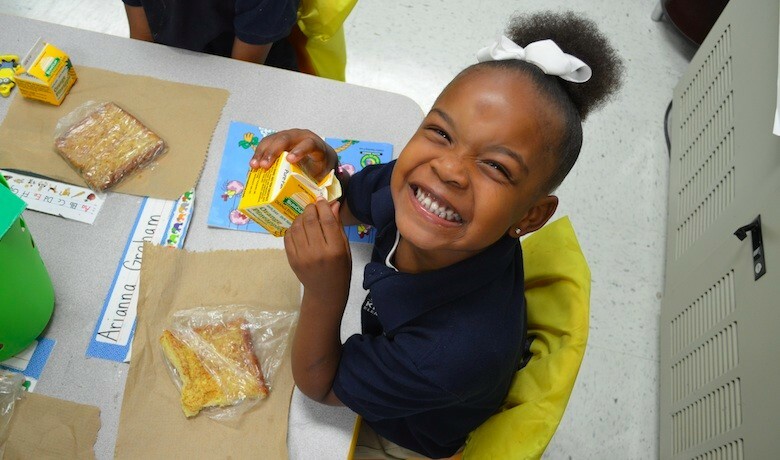 Lunch: We offer lots of healthy lunch choices, and our KIPPsters get a chance to connect with their friends. Plus, students need that energy to grow our brains in the afternoon! 12:15 p.m. 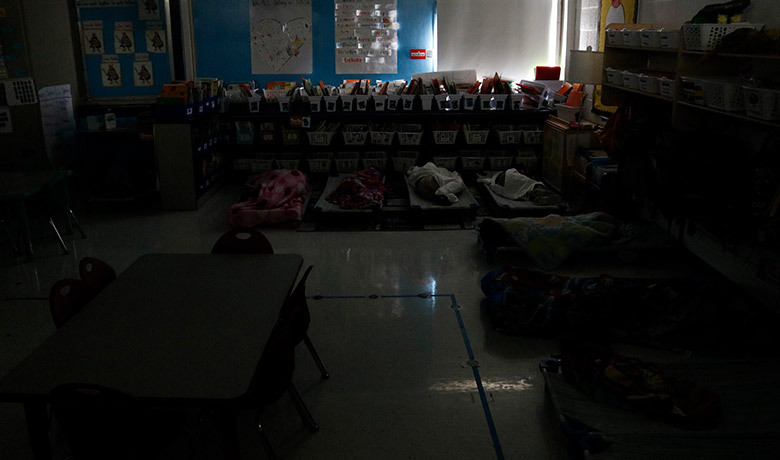 Relaxation Time: Our kindergarten KIPPsters take this time to relax or nap before afternoon fun begins. 1:30 p.m. 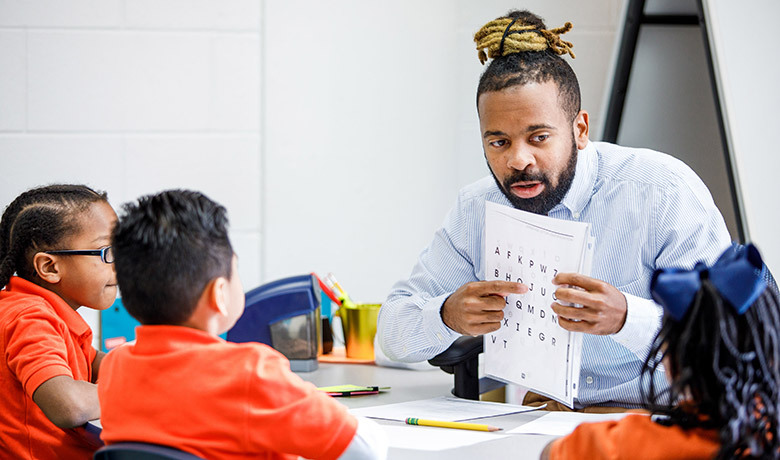 Math: We use Eureka math and cognitively guided instruction school-wide to encourage conceptual understanding in our students. 3:30 p.m. Dismissal: After a day full of learning, it’s time to say goodbye. 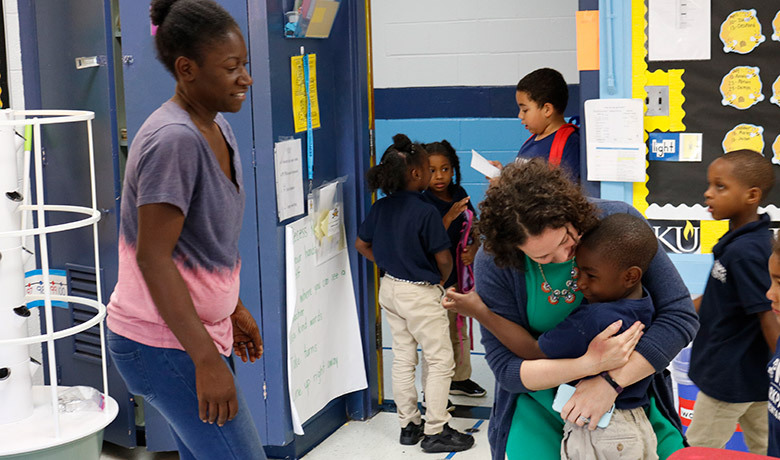 Our teachers send our KIPPsters off with one last hug! 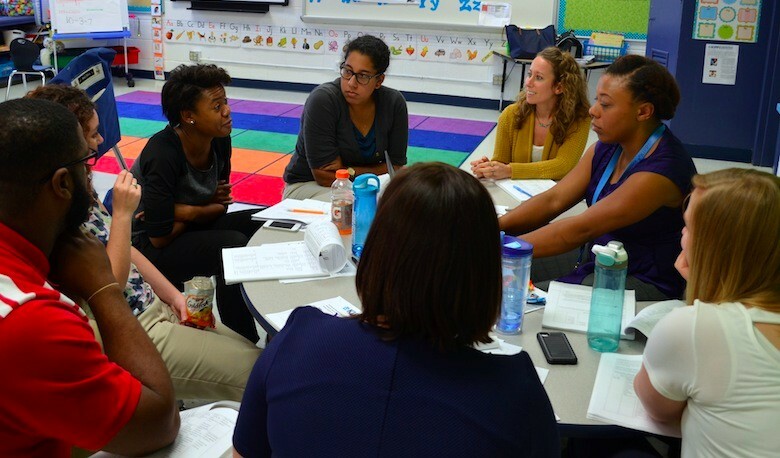 3:55 p.m. Grade Level Meetings: Our grade level team meets once a week to talk through logistics, lesson plans and review data and plan ahead to the next week. 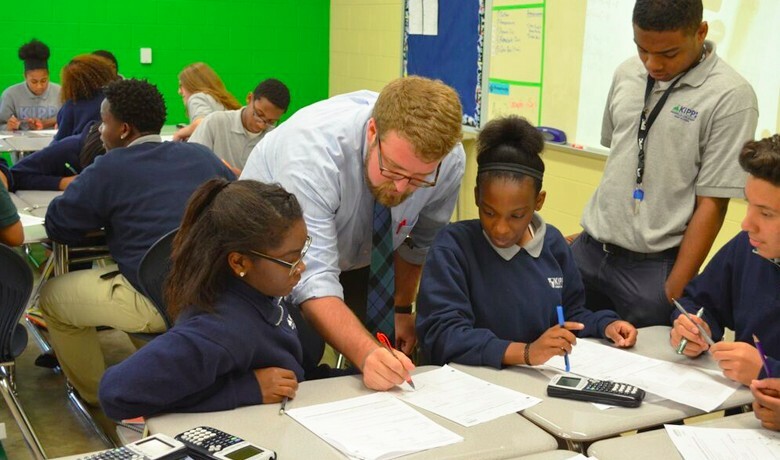 At KIPP Nashville we operate middle schools 5th through 8th grade. In middle school, college and the promise of to and through becomes more real and more near. 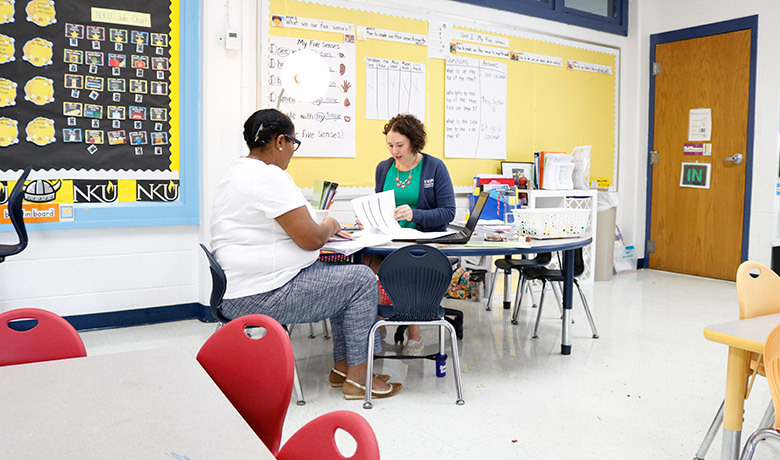 In hallways adorned with college pennants, students begin the transition from self-contained classrooms to autonomous learning and ownership of their big goals. While it’s a different grade band, the same high-quality curricula and extra-curricular activities are offered for our middle schoolers. 7:45 a.m. Morning Meeting: Every homeroom gets the day off to a great start with their morning meeting and breakfast. It’s a helpful reflection point before we kick off a day of learning. 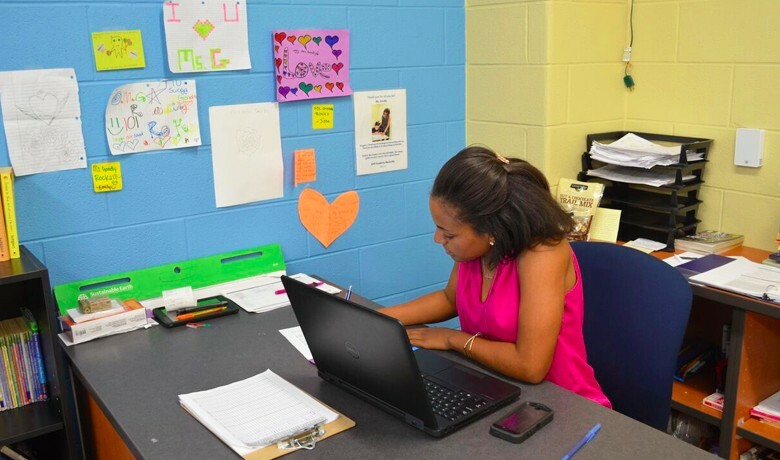 Planning: Throughout the day, our teachers get planning time to look ahead and check in with their coach. 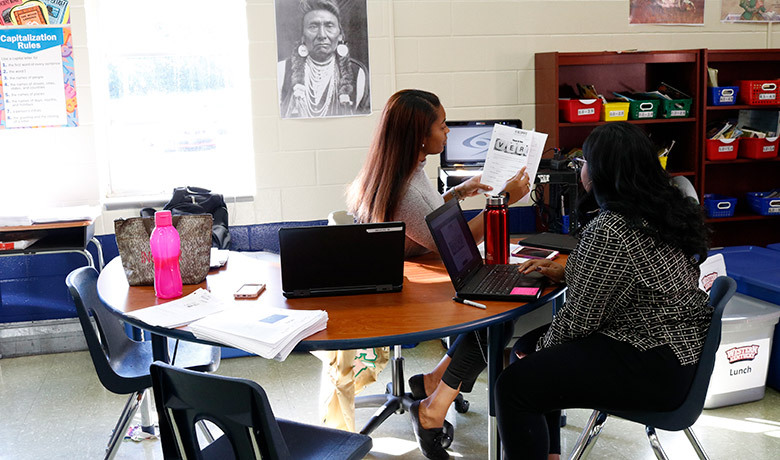 8:15 a.m. Literacy Block: Our literacy teachers teach two classes and have specifically carved out time to provide reading intervention. 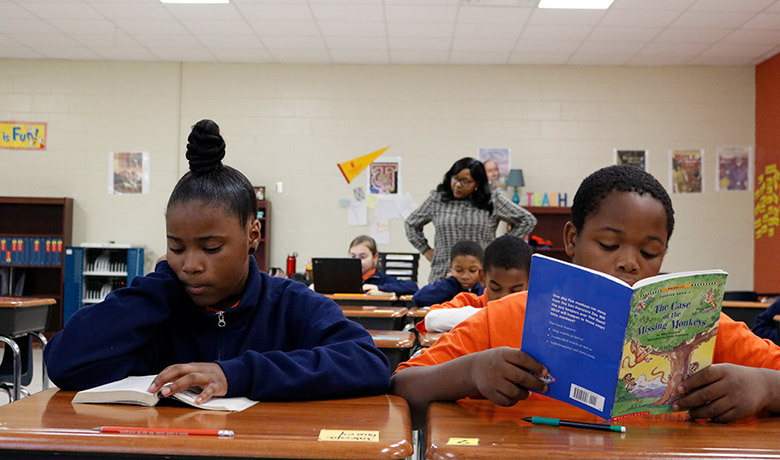 This allows our teachers to provide differentiated instruction to all KIPPsters. 11:40 Co-planning: Two heads are better than one. 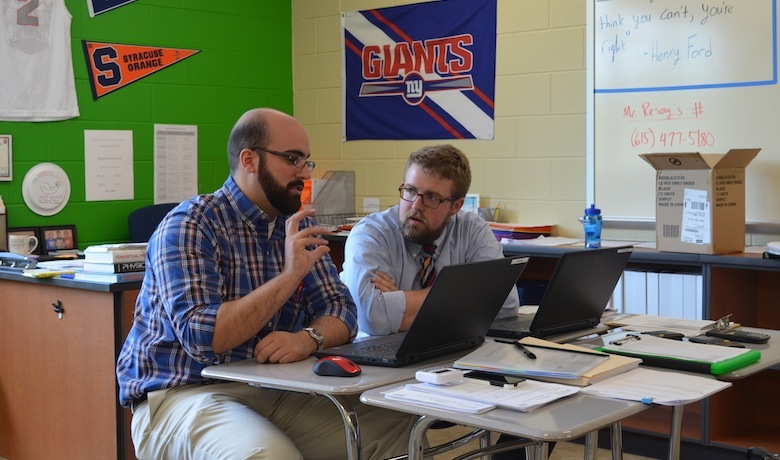 Co-planning is a great opportunity to fine-tune lesson plans, review data and look ahead to the next week. 12:30 p.m. 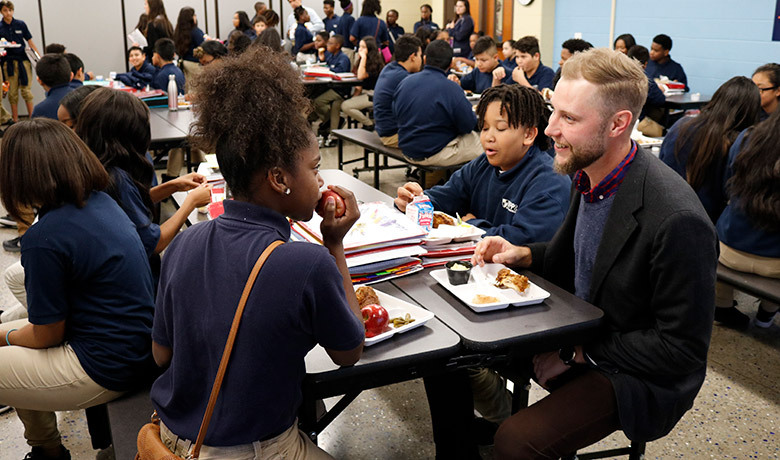 Lunch: As with elementary school, we offer lots of healthy lunch choices, and our KIPPsters get a chance to connect with their friends. And you never know when your teacher might join you! 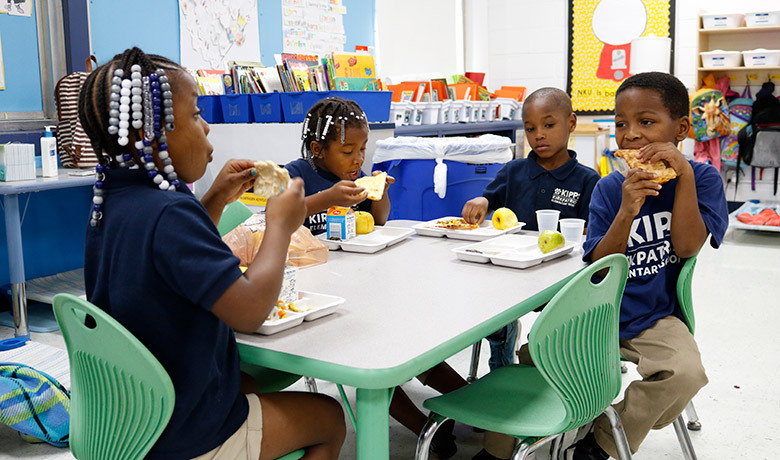 1:30 p.m. Literacy Block Two: Fresh off of a delicious lunch, a new class of KIPPsters come for their literacy block. 3:30 p.m. 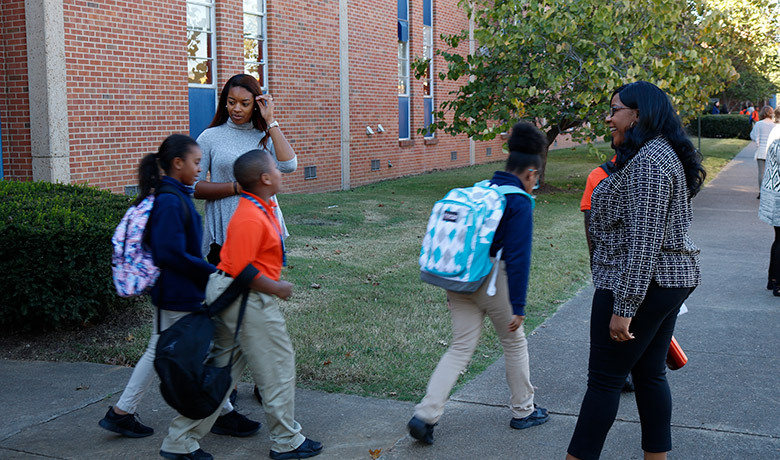 Dismissal: With some smiles and waves, KIPPsters jump into their car or bus and head home. ‘Til tomorrow, KIPPsters! 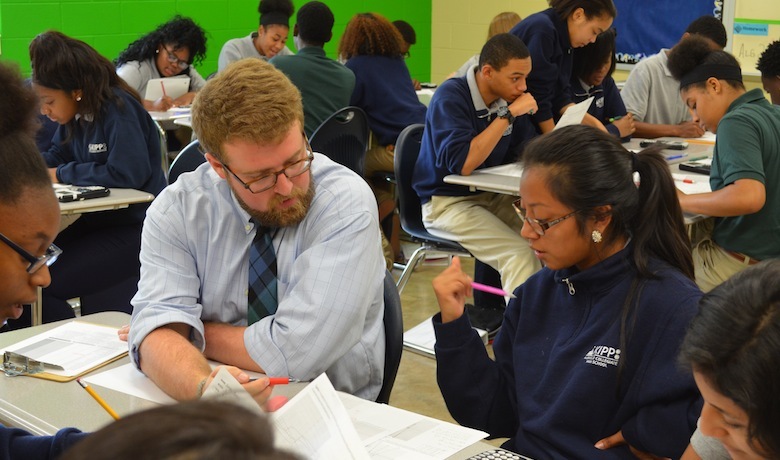 With just a few short years until college, our high school is focused on holistically – academically, socially and emotionally – preparing students to pursue an opportunity-filled life upon graduation. 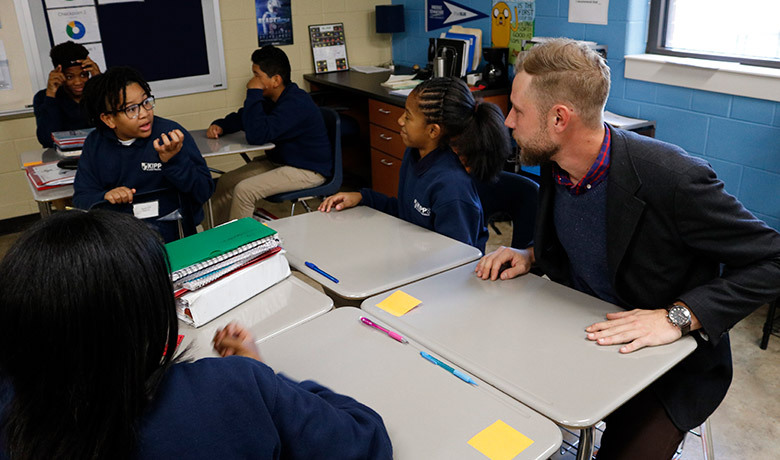 With courses centered around meaningful discourse and focus on culturally responsive curriculum, KIPPsters can see and feel the weight of our “to and through” promise. 7:05 Whole-School Meeting: Each morning our team comes together for 10 minutes before students arrive. We share shout outs, updates and ensure that we all have the information we need for a successful day. 7:33 Planning: This is my first of 4 planning blocks each day. This time is used for personal planning, my weekly check-ins with my coach and to observe and coach a new teacher in the STEM department. 8:40 - 9:44 Algebra II Block (1 of 3): Students have done "prep work" (not "homework"!) 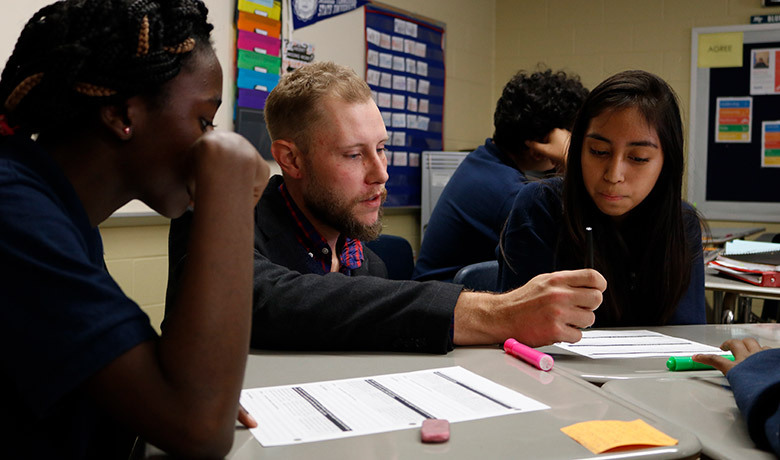 the night before so that we can dive deeply into the material in class through discussion and student-driven work. 11:40 Peer observation: As an Instructional Leader, I have monthly training to coach a teacher new to our school. Twice a month, our School Leader co-observes with me. 1:35-2:30 Peer coaching: Hands down one of my favorite parts of the week. Myself and my mentee meet to review lesson plans, debrief observations and troubleshoot together. 2:35 Algebra II Block 3: Our goal as teachers is to play the role of facilitator while students drive the discussion, supporting and pushing one another through our toughest work. 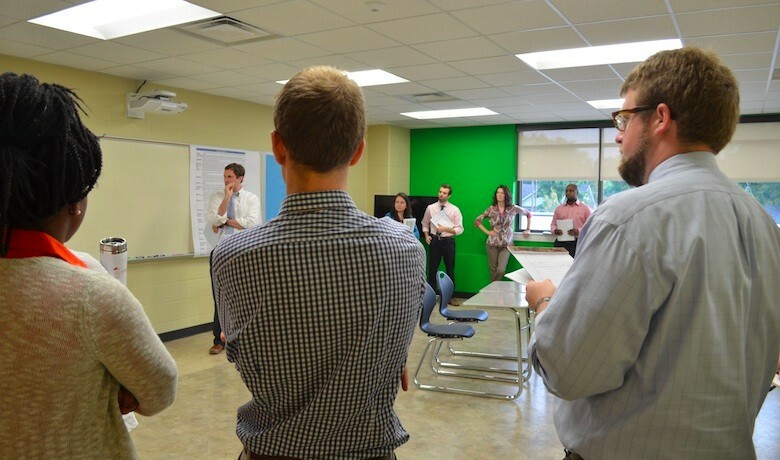 3:55 Content teams: Weekly, after students dismiss, our STEM department comes together to align our work and hone our craft. 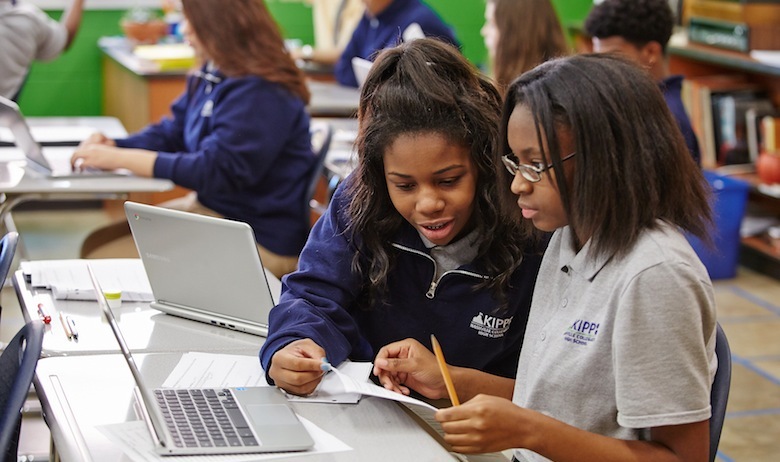 At KIPP Nashville, we’re constantly learning, evolving, and refining skills, for the betterment of our KIPPsters and their families, our colleagues, and ourselves. With a high emphasis on professional development, we provide the resources you need to ensure you’re always growing.